Through the lens of the Whitney’s collection, An Incomplete History of Protest looks at how artists from the 1940s to the present have confronted the political and social issues of their day. Whether making art as a form of activism, criticism, instruction, or inspiration, the featured artists see their work as essential to challenging established thought and creating a more equitable culture. Many have sought immediate change, such as ending the war in Vietnam or combating the AIDS crisis. Others have engaged with protest more indirectly, with the long term in mind, hoping to create new ways of imagining society and citizenship. Since its founding in the early twentieth century, the Whitney has served as a forum for the most urgent art and ideas of the day, at times attracting protest itself. An Incomplete History of Protest, however, is by name and necessity a limited account. 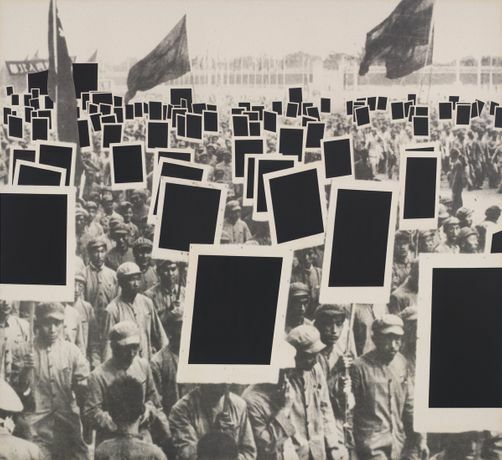 No exhibition can approximate the activism now happening in the streets and online, and no collection can account fully for the methodological, stylistic, and political diversity of artistic address. Instead, the exhibition offers a sequence of historical case studies focused on particular moments and themes—from questions of representation to the fight for civil rights—that remain relevant today. At the root of the exhibition is the belief that artists play a profound role in transforming their time and shaping the future. An Incomplete History of Protest: Selections from the Whitney’s Collection, 1940–2017 is organized by David Breslin, DeMartini Family Curator and Director of the Collection; Jennie Goldstein, assistant curator; and Rujeko Hockley, assistant curator; with David Kiehl, curator emeritus; and Margaret Kross, curatorial assistant. Major support for An Incomplete History of Protest: Selections from the Whitney’s Collection, 1940‒2017 is provided by The American Contemporary Art Foundation, Inc., Leonard A. Lauder, President. Significant support is provided by the Ford Foundation.